Srikiran Pothamsetty, MD (Kissimmee) - Book Appointment Online! Our highly skilled team of GI experts are board certified and are dedicated to bringing you the best services in a caring environment. With expertise in the diagnosis and treatment of a wide array of gastrointestinal, liver and biliary tract diseases; our doctor, nurse practitioners, nurses, and courteous staff take care of patients in a state-of-the-art, beautiful outpatient surgery center located at Millenia Surgery Center. 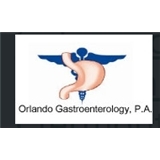 Orlando Gastroenterology provides a full-service outpatient setting offers ready access to endoscopic procedures and hemorrhoidal treatments.